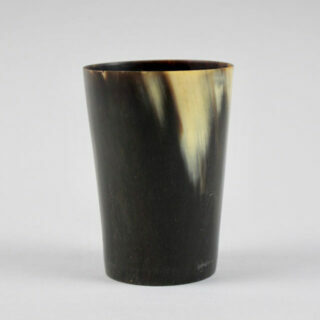 This horn beaker is in good glossy condition and is water tight. There is one small nibble to the rim of the vessel. 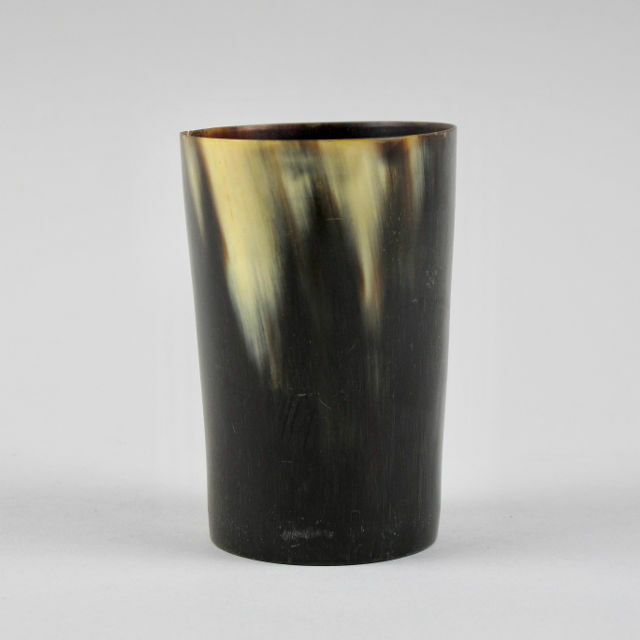 Probably made in the first half of the 20th Century these horn beakers were largely made from bovine horn. 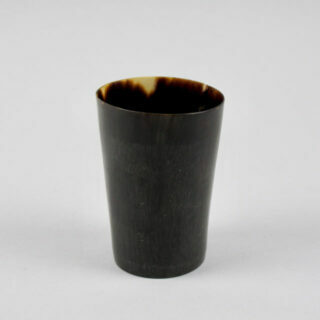 Earlier examples of horn beakers exist, often with silver mounts around the rim or small silver plaques to the side. 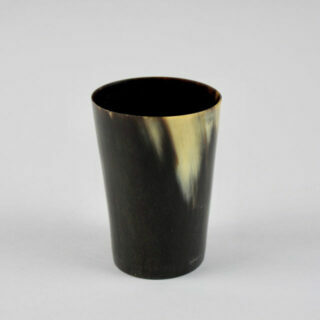 Abbeyhorn, who are one of the oldest active hornmills in the UK still make a modern horn beaker. 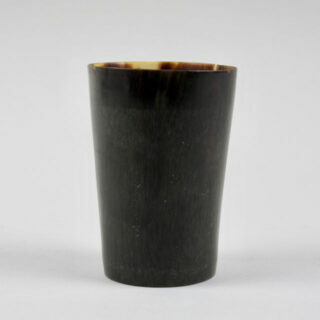 While this beaker is watertight it would also make a handsome pen/pencil pot.